Dr. Greene offers a digital single tooth localized anesthesia delivery system. This will make your anesthetic experience more comfortable and rewarding than ever before. 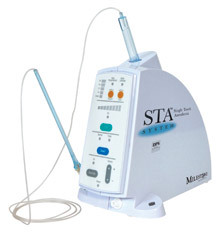 The STA, Single Tooth Anesthesia, is a digital delivery system that targets only one tooth at a time to be numbed. It incorporates pressure force feedback which translates into Dynamic Pressure Sensing technology. Imagine, no feeling of numbness in your lip, cheek or tongue, only the tooth being treated. The STA system can make your visit anxiety-free and more comfortable for you and your family. Dr. Greene has replaced traditional injections with this new, innovative technology that works with patients of all ages. You will find peace of mind with the amazing new system and when our patients are more relaxed and comfortable, Dr. Greene feels more comfortable and the entire visit runs easily for all. Dr. Greene has worked in Eastchester and Scarsdale for most of his career and has made a commitment of lifelong education, innovative accurate technology and extreme patient comfort among his goals. 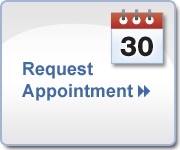 Please call 914.713.2424 for more information and to make an appointment at Scarsdale Dental Spa.